NO POLITICAL COMMENTS PLEASE. THEY ARE NOT WELCOME AND WILL BE DELETED. I just saw AND DELETED many of the political comments, even those I agreed with. I do this site on my own and don’t always catch every single comment as it comes in. That taken into account, I appreciate that you enjoy the photographs, and though I disagree with your comments that Carter has “embraced” Islam, I respect your right to think that. I wonder how often some of our other recent ex-Presidents teach Sunday school in their home towns, or even read their Bibles. Just curious about that…since we have all these negative images of Carter “embracing” Islam, I’d like to see the other living ex-Presidents “embracing” Christianity. Strange that we never see that, either. You do a great job covering the things that are vanishing in South Georgia. Most things that you capture in your photographs are things that most of us regret seeing pass into obscurity; however, the end of some cultural aspects is long over due. I am thinking of some of the nasty, hateful comments recorded in this comment section. Happy birthday Mr. President and thank you for being a decent human and for representing South Georgia and the soul of America so well. History will be kinder as time passes. Well, said, Bryan. Exactly my sentiments as well. PLEASE REFRAIN FROM POSTING POLITICAL COMMENTS. I’M AFRAID I WILL HAVE TO DELETE THEM ALL AND THOUGH I HONESTLY RESPECT ALL OPINIONS ON PRESIDENT CARTER, THIS SITE IS NOT FOR POLITICS. DELETION OF COMMENTS DOES NOT IMPLY THAT I AGREE OR DISAGREE WITH YOU BUT I ONLY MEANT TO HONOR THE MAN’S BIRTHDAY. Thank you, Brian. That is what this post should be. A grand tribute to President Carter who has reached a milestone with this birthday.. Happy birthday Mr. Carter. You’ll always as yahoo be in my heart. 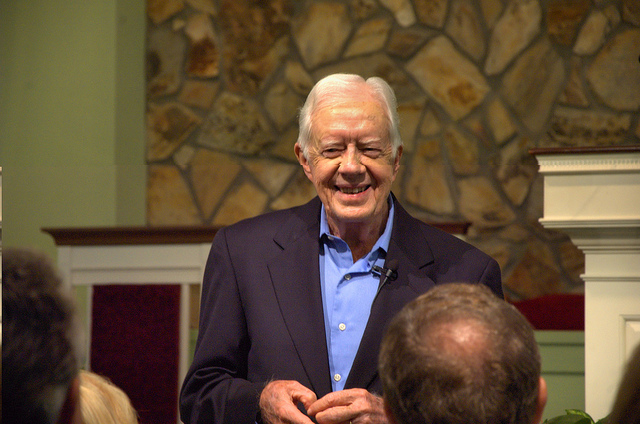 Thanks for sharing, Brian, such a wonderful human being, I absolutely adore Jimmy Carter!! It is amazing how so called good Christian folks hate this man. In the good book, they write him down as the best. You won’t find any better. I agree. Republicans would skewer God. Brian, please post this picture Facebook. It is the best one I have ever seen. As usual your photography is tops. I have loved your work a long time. It’s on the VSG Facebook page. Thank you so much for your kind words Peggy. Very honored by them. Happy Birthday to a special man who always walks his talk. Happy birthday to a truly good, gentle man. Happy birthday indeed. I suspect history will be much kinder to this man than his present day, to be kind, “detractors”.